Timo Mass and Santos introduce their latest signing, Katie Cruel with her ‘City City’ release on their label Rockets and Ponies, embodying the classic and intelligent music ethos that Mass and Santos are so keen to champion. 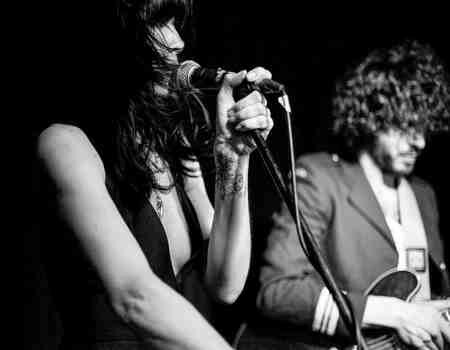 Making her début as second bassist for Joshua Tree’s Earthlings in 1998, Wendy Rae Fowler dipped her toes into a pool of artistic credibility that has since taken her on an alternative rock journey. Her rock credentials are the sum of her experiences as both accomplished musician and singer-songwriter, honing her craft with visionary stars of American rock along the way. Following a stint with her Earthlings comrades supporting Queens of the Stone Age on a brief tour of America’s West Coast, Fowler’s dusky, foreboding vocals became the backdrop to two QOTSA tracks, a juncture that led to a meeting of minds with Mark Lanegan with whom she would later collaborate on several pieces. 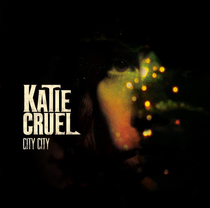 Fowler’s experiences have led to this, a point where her gospel, blues and Morricone influences find a soul-baring platform in alter-ego Katie Cruel. Echoing of Sergio Leone’s Spaghetti Western misadventures, ‘City City’ is a theatrically dark soliloquy warmed with gnarly guitars and foreboding instrumentals. This provocative piece is both strangely uplifting and dark, a tone that Timo captures with indulgent textures of crackling vinyl and gnarly pistolero electric guitars for his remix. While his atmospheric remix is pacey and focuses intently on Cruel’s powerful vocal, studio partner Santos cranks off-centre notes and glitchy dynamic percs in a minimal accompaniment with industrial hues. It's out August 5.